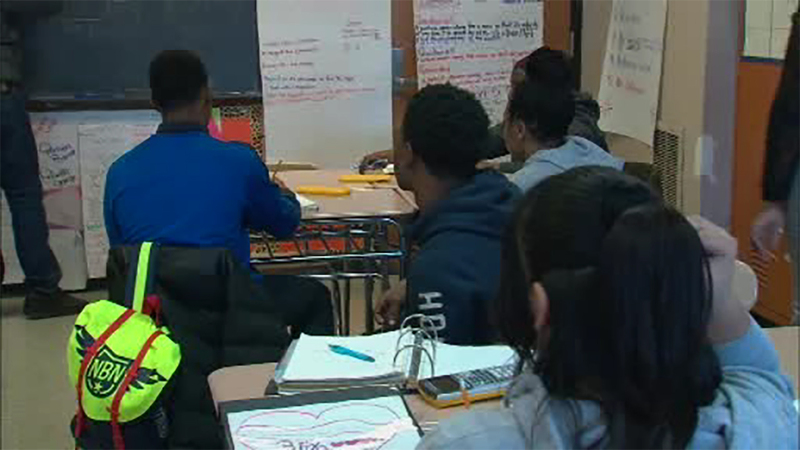 NEW YORK (WABC) -- New York City has dedicated nearly $29 million over the next five years to buy and install air conditioning units in all of its classrooms. Mayor Bill de Blasio said Tuesday that that "countless parents" have raised the issue at town hall meetings. Council Member Brad Lander says hot classrooms make it hard for kids and teachers to concentrate. He says some students with asthma or special needs could not attend classes because of the heat - and some kids have even fainted. About 11,500 classrooms - 26 percent - currently lack air conditioning. "Making sure that all classrooms are air conditioned is one more commitment we're making to ensure that nothing stands in the way of our students and a quality education," said Mayor de Blasio. "I've spoken with countless parents at town halls across the city and this issue has come up repeatedly. We're investing in classrooms to create a safe, comfortable atmosphere to build on the progress our schools have made over the last few years." The funding will provide air conditioning to over 2,000 additional classrooms in the first year or the program. Installation in the first cohort of schools will begin this summer.